The Breckenridge Beer Festival returns to Main Street Station Plaza for the sixth consecutive year on Saturday, July 16, 2011, for a frothy celebration of brews and bands. Main Street Station, a professionally managed luxury property by ResortQuest® by Wyndham Vacation Rentals, has hosted the festival every year since its inception in 2006. Presented annually by NRC Presents and local radio station KSMT "The Mountain," the Breckenridge Beer Festival has grown into one of the best beer festivals in Colorado. This year's festival promises beer samplings from 27 local and national breweries such as Alaskan Brewing Co., Oskar Blues Brewery, New Belgium Brewing and Breckenridge Brewery. As the Official Lodging Sponsor of the Breckenridge Beer Festival, ResortQuest is offering discounted Tasting Mugs with a two-night stay in an eligible ResortQuest Breckenridge vacation rental. Admission to the festival is free, but an official Tasting Mug is required to sample the beer. ResortQuest's discounted VIP package includes a commemorative glass Tasting Mug for $55 that allows unlimited tastings, early entry into the event, and a lunch buffet with VIP Room access for the duration of the festival—a savings of $20 off pricing at the door. Another option is ResortQuest's discounted Unlimited Tasting tickets which include a $22 Tasting Cup, a plastic commemorative cup good for unlimited beer samples during the event, valued at $30. These discounted mug rates are available only with the purchase of lodging and must be reserved by Thursday, July 14. Rates are valid for stays that include July 16 and must be purchased at time of booking. "Main Street Station — 'Where the Mountains Meet Main Street' — makes the perfect venue for events like the Breckenridge Beer Festival, and it's an ideal lodging choice for festivalgoers," said Katy Martin, Colorado regional marketing director, ResortQuest by Wyndham Vacation Rentals. 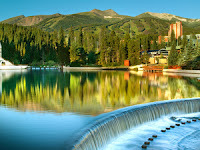 "In the winter, you're just steps from the Quicksilver Super6 Chairlift at the base of Breckenridge Ski Resort's Peak 9. Then in summer, a host of live events and festivals are right outside your door in the Main Street Station Plaza." Resort amenities at Main Street Station include a giant heated outdoor swimming pool with panoramic views of the Ten Mile mountain range, six hot tubs, an on-site fitness center with eucalyptus steam room, concierge service, and 24-hour bell and front desk service. Main Street Station offers spectacular westward views of Breckenridge Ski Resort with the east side of the building sitting directly on historic Main Street. Live music on the Summit Stage during the Breckenridge Beer Festival will feature headliner Hey Rosetta! and music by The Broken Everlys and True Mountain Rebels (formerly MooseKnuckle). The event will take place 1-6 p.m. on Saturday, July 16 at Main Street Station Plaza, 505 South Main Street in Breckenridge, Colo.
To take advantage of ResortQuest's Breckenridge Beer Festival lodging packages, guests should call 800-661-7607 and pre-purchase a Tasting Mug at time of booking. Availability is limited, and reservation must be booked directly with ResortQuest Breckenridge. More details, including terms and conditions, are available online.